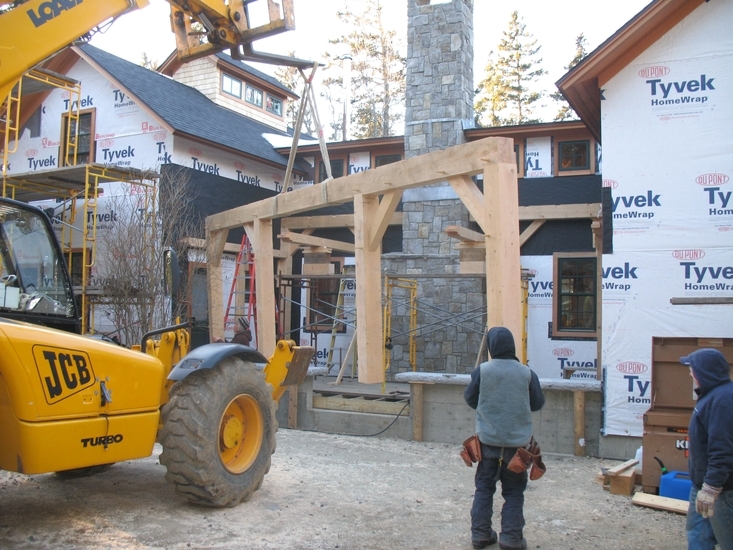 When Sweet Timber Frames is contracted to build a large timber frame home, we draw from a pool of very experienced carpenter/timber framers who follow the available work in this area. 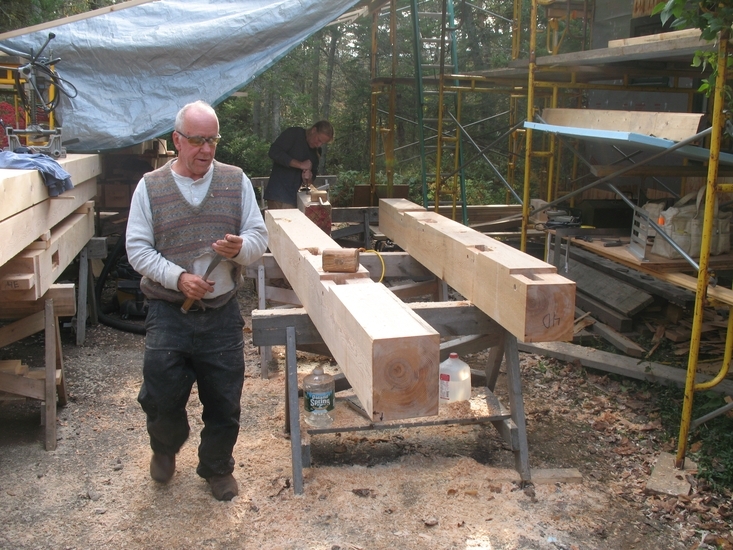 Being on the coast of Maine produces some of the finest craftsman in the world. We’ve never been unable to find the right person for the particular job at hand. We’ve employed as many as 26 men on one large project. Who will design and engineer my timber frame? Who will design and engineer my timber frame? Does your firm have a licensed engineer and/or architect who is authorized to “stamp” (approve) my plans? We do the design work for the timber frame, the enclosure, and any details necessary. We use a 3-Dimensional computer program call Google Sketchup Pro, after the client downloads the free version it enable us to share files in 3D. For special applications and larger more complex jobs we have worked with kitchen designers, and architects. 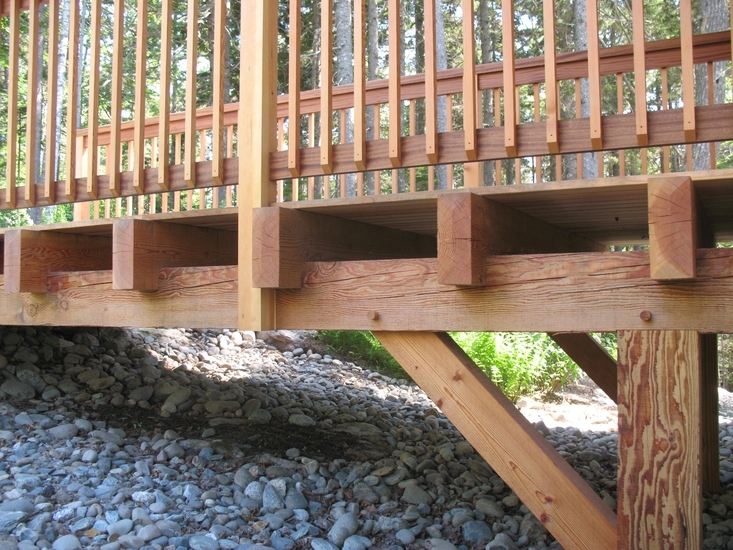 When it’s called for, we rely on Firetower Engineered Timber www.ftet.com for an engineers stamp. Are you willing to consult with my desiger or builder throughout the project? We will work with your designer or architect, or use your plan. How long will it take to get complete timber frame plans? Complete plans can be ready in approximately 3 weeks once all questions have been answered. Larger more complex projects may take longer to finalize all details. 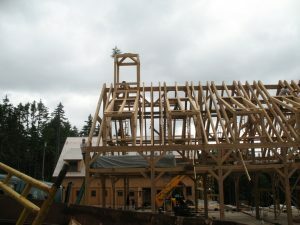 How long will it take to build my timber frame home? It often takes a year to do a complete “foundation to finish” turnkey home, although this time frame depends on the size and complexity of the home being built. The time period can be shortened by increasing the number of craftsmen working. Who raises or installs your timber frames? We assemble the joined timber frame and raise it. A crane is used for safety and makes lifting heavy timbers easy. We are open to hand raising if enough people are present and can work together under our supervision. If you are capable of managing your own raising, we can sell just the timber frame ready for assembly and raising. What type of warranty do your timber frames have? Our warranty is a lifetime warranty. If anything is incorrectly cut or installed we will fix it no charge. This excludes wear on roofs and sidewalls. We have not had any call backs in more than 30 years of business. Do you guarantee your timber frame design will meet or exceed applicable building and energy codes? Our designs are based on time tested vernacular architecture. Our enclosures are designed to meet or exceed applicable building and energy codes. Do you maintain the license(s) and insurance required by state and local governments? We maintain all insurance and licenses required by law for the state we work in. We can provide an extensive list of past client references. What type of contractual relationship will we have? Fixed price, cost plus, construction management, or not to exceed are different contracts we use. A payment schedule will be arranged that fits both the client and Sweet Timber Frames. Most payment schedules are bi-weekly. Any change order must be in writing and agreed on by both the client and the builder. Have another question about our services?